It’s HERE! The long awaited interview with Tony McGuinness and Jono Grant from Above & Beyond bejbi.se, together with Viktor Kidson did, earlier this year when they visited Sweden on the Scandinavian leg of their We Are All We Need-tour. CONNECTION. If one word sums up the phenomenon of Above & Beyond then that is surely it. Whether it’s the thousands of A&B fans singing their lyrics back at them at gigs from Beirut to Brixton, or the millions that tune in for their weekly Group Therapy radio show, connection – real human connection – is at the heart of all things that define Above & Beyond. 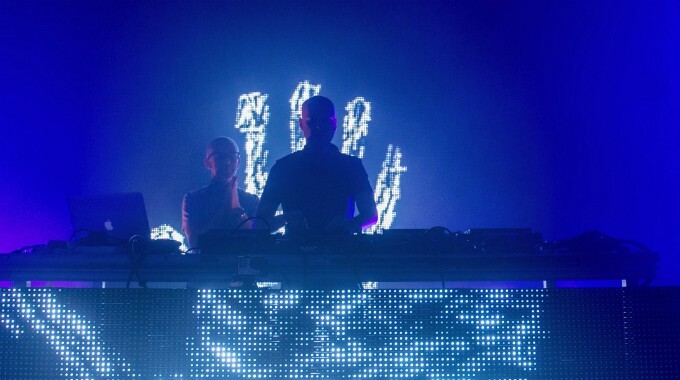 Above & Beyond find themselves embedded at the heart of their fans’ lives. Some walk down the wedding aisle to their songs, others ink their bodies with their lyrics, often a proud couple will choose to get engaged at one of their gigs. All that pledge their loyalty to them are moved in a way that goes beyond most electronic music out there. Above & Beyond is Jono Grant, Tony McGuinness and Paavo Siljamaki and their story is one of constant movement. From their early days as hotly tipped producers to their current global standing, Jono, Tony and Paavo have remained as down-to-earth and determined as ever – always focused on the next goal. Over their 13-year history, this dedication has continually paid off. We caught up with Tony and Jono right before their gig in Stockholm. We get a deep down, intimate chat with them about their music, and how it feels to create something that touches hearts all over the world. Ours included. Learn how they see and love the ’Anjunafamily’, and how they don’t produce for people but somehow manage to produce with people. Get a view on their careers before they were Above & Beyond, how both Jono and Tony were in different bands. And how Tony still is! Find out what the music sounds like. Find out how frightening that really was. And what they have planned for the future. And like just about everything they turn their attentions to, it is a labour of love as well as a collaboration of the trio’s energies. De La Soul weren’t wrong. Three really is the magic number: and in Above & Beyond’s case the magic is spreading faster than ever before. Bejbi.se & Kidson Media Production presents Above & Beyond! Thank You Jono & Tony of Above & Beyond.